This page provides the legal and trademark guidelines for Spinning®. Please find this information below. You can also download these trademark usage guidelines as a PDF by clicking the “Download Spinning® Trademark Guidelines PDF” button. These marks are brand names that serve to identify the unique fitness products and programs offered by Mad Dogg Athletics, Inc. These brand names should not be used to refer to any goods or services other than those owned and offered by Mad Dogg Athletics, Inc. If you become aware of any unauthorized or improper use of the SPINNING®, SPIN® or SPINNER® trademarks, please contact our office at 1 (310) 823-7008 or e-mail trademarks@maddogg.com. The Spin®, Spinner®, Spinning®, Spin Fitness® and the Spinning logo ® trademarks are important business assets to Mad Dogg Athletics, Inc. and should be treated with the care and respect. We rely on our trademarks to identify our products, services, activities and programs to distinguish them from those of our competitors. As the creator and worldwide leader in indoor cycling classes, equipment, clothing and accessories, we take tremendous pride in our products and programs. If a company's trademark becomes generic, anyone can use it without fear of a claim of trademark infringement from the trademark owner. Loss of a trademark not only denies consumers the opportunity to identify an original, quality product developed with years of experience for repeat satisfactory purchases, it also destroys the owner's investment in a valuable asset. We respectfully ask you to support our efforts to enforce the Spin®, Spinner®, Spinning®, Spin Fitness® and the Spinning logo ® trademarks (collectively referred to as the ""SPIN® Family of Marks"") and take the steps necessary to use them properly. If you have any questions concerning the proper use of the Spin®, Spinner®, Spinning®, Spin Fitness® and the Spinning logo ® trademarks, please contact us at info@spinning.com for North America, South America and Asia Pacific, and at infoeurope@spinning.com for Europe, the Middle East and Africa. Spin®, Spinner®, Spinning®, Spin Fitness® and the Spinning logo ® are registered trademarks that are owned by Mad Dogg Athletics, Inc., a California corporation. Who May Use the SPIN® Family of Marks? Authorized dealers and any company or person licensed by Mad Dogg Athletics, Inc. have the right to promote and use the SPIN® Family of Marks so long as such activity, program or advertising follows the method of use outlined in this guide. We ask that our dealers or licensees contact us immediately if they become aware of any unauthorized or improper use of the SPIN Family of Marks. 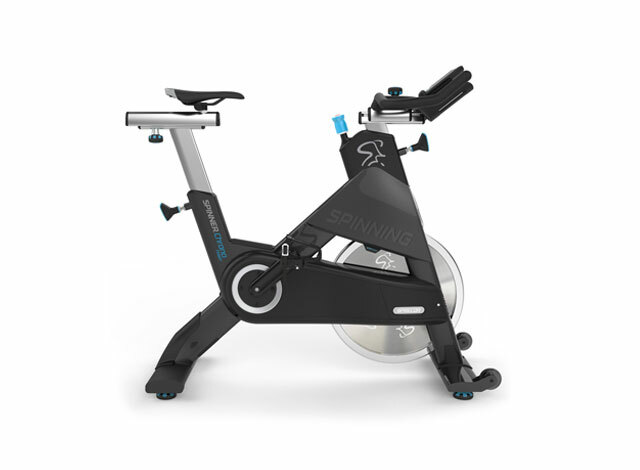 What is Spinning® and What is a Spinner®? The words Spinning® and Spinner® are terms that were originally coined by the founders of Mad Dogg Althetics to identify our particular brand of indoor cycling instruction and patented model of stationary exercise bikes. 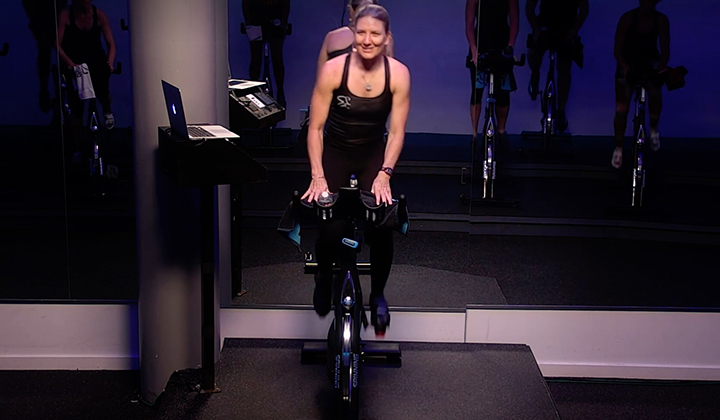 The Spinning® program is a comprehensive indoor cycling program that includes features that take advantage of the patented Spinner® stationary bike, heart rate training, motivational materials and exercise sets directed at various fitness goals. 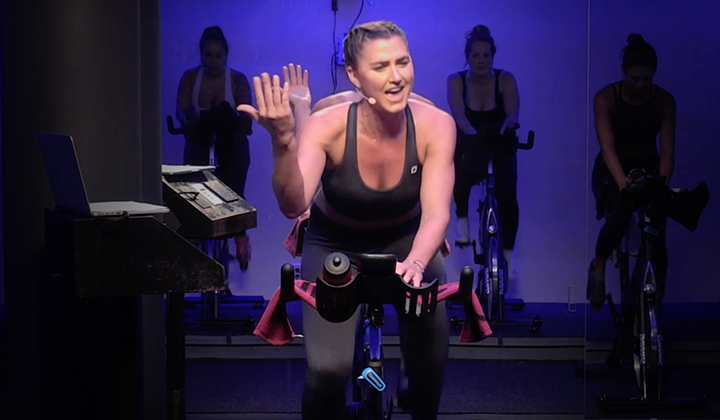 Most importantly, Spinning® is the brand name of our particular indoor cycling program and should not be used to refer to any stationary exercise bicycle activity or program other than Mad Dogg Athletics' program or bicycle. 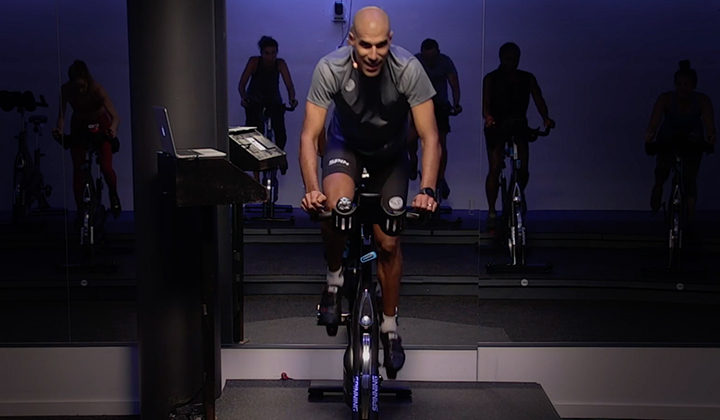 In addition to our indoor cycling program and indoor cycling bike, we also use and own trademark rights in the trademark Spinning® for sports instruction, health education, rental of health equipment, nutritional supplements, pre-recorded audio and video materials, digital applications, clothing, exercise equipment and fitness facilities. Additionally, we own the trademarks Spin® and Spin Fitness® for exercise equipment and other indoor cycling products and accessories. What Is the Purpose of the SPIN® Family of Marks? Trademark offices around the world provide our company with additional legal means for protecting consumers, licensees, distributors and our company from imitation or counterfeit products and programs. These rights include the exclusive right to use our trademarks in the countries they are registered as the primary method to identify our goods, services and programs. Proper use of the trademarks serves to distinguish Spinning® products and services from the products and services of other companies and helps prevent damage to our trademarks. To help prevent the misuse of our trademarks, Mad Dogg Athletics sets forth various guidelines to assist you in the proper use of the SPIN® Family of Marks. Proper trademark use identifies a particular brand of a product or service and is not the name or description of a general good, product, service or activity. Accordingly, it is important to use the trademarks together with the common name or description of the product or service. For example, it would be proper to say or use ""the Spinning® indoor cycling program"" and ""the Spinner® indoor cycling bike"". Using the trademarks properly clearly informs the public that they are purchasing the authentic goods or services of the Spinning® brand, and not from any other person or business. Authorized dealers and any company or person licensed by Mad Dogg Althletics, Inc. have the right to promote and use the SPIN® Family of Marks so long as such activity, program or advertising follows the method of use outlined in this guide. We ask that our dealers or licensees contact us immediately if they become aware of any unauthorized or improper use of the SPIN® Family of Marks. "Spinning" refers to the program, classes, instructors and products. "Spinner" refers to the specific model of Mad Dogg Athletics' indoor bikes. "Spin" refers to Mad Dogg Athletics' indoor bikes, instruction, and membership program. The letter "S" for each mark in the SPIN® Family of Marks is always capitalized (e.g., "Spin", "Spinner" and "Spinning"). All of Mad Dogg Athletics' trademarks should be accompanied by a registered trademark symbol "®" in all headers, footers and logos, and in the first appearance in the body of text on every new page. With the letter "S" not capitalized (e.g., "spin", "spinner" or "spinning"). Misspelled (e.g., "spyn" or "spinnerz"). As a verb or improper noun (e.g., "Come spin with us" or "Get spinning"). As part of a trade name (e.g., "The New York Spinning Center"). As a generic term (e.g., as a name for an indoor cycling program, bike, activity or other products). To advertise bikes, programs or products that are not affiliated with Mad Dogg Athletics, Inc. The Spinning logo ® and wordmark were designed to designate products and services developed by Mad Dogg Athletics, Inc. and may be used by licensees in its exact form to advertise and promote Mad Dogg Athletics' indoor cycling products and services. Under no circumstances may the Spinning logo ® be used without Mad Dogg Athletics' express written consent to manufacture and sell products such as exercise equipment, fitness education, clothing, accessories or any other merchandise. The correct format of the Spinning logo ® and wordmark is indicated in the area below. The logo and wordmark are not to be used in any form that varies from the samples below and must not be used in combination with any other trade name or logo. 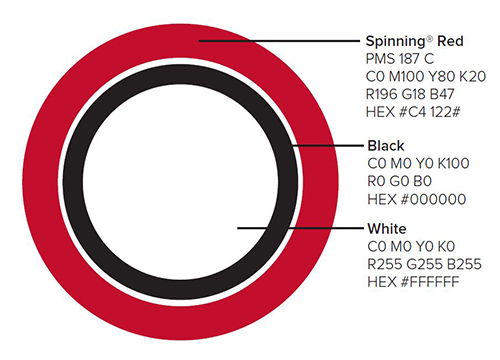 To maintain a strong identity for the Spinning® program, it is necessary to employ a consistent color palette. Use these primary and secondary colors in all materials. For body text, the font family Proxima Nova should always be used. As a general guideline, body text should be Proxima Nova Light and headings should be Proxima Nova Semibold. The Spinning® wordmark is font RBNo.3.1. For the web, please use Arial for all body text and Arial Bold for titles. For print, the logo must be at least 0.75 in (1.91 cm) wide. The word- mark should be never be below 1.25 in (3.175 cm) in width. For the web, the logo must be at least 60 pixels across, and the wordmark must be at least 80 pixels across. The logo must not be crowded. A clear space must surround the logo and watermark on all four sides. Maintain the proportions and positioning of the Spinning logo ® and watermark according to the example above. If you have any questions regarding the use of the Spinning logo ®, please contact us at info@spinning.com for North America, South America and Asia Pacific, and at infoeurope@spinning.com for Europe, the Middle East and Africa.